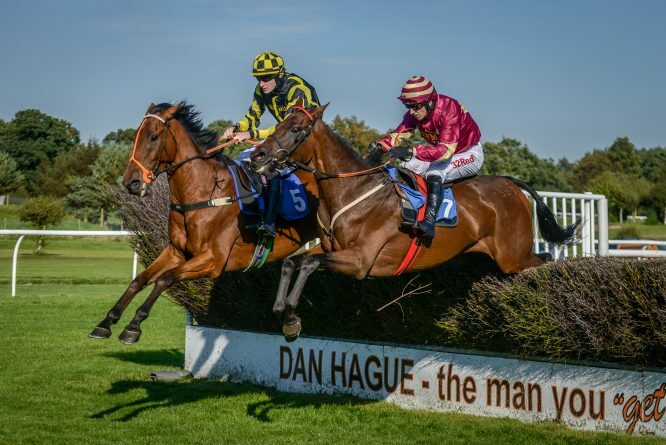 Saturday’s Market rasen card was a bit more like it for us jumping fans. Although I have to admit the card wasn’t quite up to it’s usual standards, mainly due to the Listed Prelude Chase going AWOL from the card. Not sure where it’s disappeared to but it’s disappearance certainly weakened the card somewhat. Nevertheless us National Hunt lovers have been starved of proper decent jumping action for months now but things are slowly staring to crank up a notch as we edge ever closer towards the good stuff. Sure we’ve had dribs and drabs of quality jumps action over the summer but I always view this Market rasen card as a pivotal point for the National Hunt game, a time we can truly start to get excited about what is just around the corner for us. That Market Rasen meeting also signifies the time when my exhaustive note taking kicks back into action for the jumps. It’s an smooth intro back into that side of my analysis as I’m generally not interested in all the races on the meeting and I’m not over-burdened by other jumps cards on the day, meaning I have plenty time to replay watch without trying to cram in multiple races. I’m a constant note taker throughout the season, indeed I’ve constantly been chipping away at my National Hunt files over the summer, but things obviously step up a fair bit on that score when the chunky weekend action rolls around in the October to April period. The weekends action is also of major importance for the full NTF Subscription Service. Every Monday of the NTF season I supply full NTF members with exhaustive and detailed coverage of the weekends racing from my own personal notes for a section of the service called, funnily enough, ‘Weekend Notes’. But what are Weekend Notes? Weekend Notes is a section I introduced to full NTF members five season’s ago and I then expanded upon it even more during the last four seasons. It has now became an integral part of the service with many NTF members using my information to construct their own bets as we thunder on through the long cold National Hunt winter months. Essentially I’m sharing my own private notes with NTF members from the weekends racing just past, tidied up a bit so that they are easier to understand and digest than my own short-hand notes that no-one could ever figure out!! Seriously, it’s like my own language, sometimes I even go old school (to be fair I regularly go old school!) and jot stuff down on scraps of paper, usually found in random places by Mrs NTF who then comes up to my office with the words ‘I assume this pile of indecipherable ramblings is your work? !‘, but it works for me and that’s the main thing. It also works fantastically well for full members, providing a thorough round-up of the weekends action and providing a vast quantity of information, stats, trends, thoughts and pointers for the coming weeks and months of the season ahead, even, in some cases, years ahead (I’m often keeping an eye open for bumper/hurdle runners that should, in time, turn out to be future chasing stars, my own betting is weighted towards the chasing side of the game). Looks a nifty little filly and one with a decent turn of foot as well. She travelled sweetly here on hurdle debut and had the fav covered as they swung for home and it was hard to not be impressed by this effort. Her sole victory on the flat came on soft ground so there’s every reason to believe she’ll handle softer ground over hurdles when the rains come, and she could be a decent recruit to the National Hunt game. The first juvenile hurdle of any real note in the season and it can be one worth keeping on the radar going forward, not always producing absolute top-class juveniles (although it can, with Katchit having won it previously) but certainly producing horses that are up to winning more races in the season ahead (Barizan, Royal Irish Hussar, Leoncavallo, Cliffs of Dover, Eragon De Chanay… to name but a few). An impressive victory on hurdle debut and he travelled smoothly throughout and stalked the leaders with menace. It was also pleasing to see him dig deep when asked to battle after the last flight and he’s clearly got grit to go with talent. He didn’t seem to handle soft on the flat so that’s worth bearing in mind going forward but, on this evidence, he looks like he could have a future over timber. It’s also worth bearing in mind, however, that his sire – Rock of Gibraltar – has never really produced a proper top-class NH horse yet (none have made it into the 150’s and only around 4 have made it into the 140’s, from a large sample size). Was always going to be difficult for him to give away weight to the field but this was still a solid effort and he’s now 1112 over timber. He’s raced a bit lazy at stages on both his last two starts so an application of headgear would be interesting, to see if that just concentrates his mind a bit better. His jumping was also on the scrappy side here so it’s to his credit he was still in there with a serious chance at the last and again the application of headgear may just help him concentrate on the jumping side of things. If he jumps like this and hits his flat spots against the better types then he’ll be in trouble so both those aspects need to be fixed before he’s able to progress further. Class 4 contests are the place to catch this lad as he’s now 4/12, 6p at C4 level compared to 0/12, 1p at C3 level+. He also tends to run well off lengthy breaks as he’s now 122F2 off breaks of 181 days or more. Still a maiden after 10 starts but he didn’t do much wrong here on his second chasing start and he’ll surely open his account before too long, he’ll likely come on for the run as well (first start for 133 days – NTD is only 1/38 in 2018 with his runners coming off breaks of 121+ days). First run for J Wainwright and I thought he jumped and travelled really well on the front-end here and only started to give way 2 out. He’s only 1/23 in his career (0/14 over fences) and he’s a pretty low-level performer (at his very best!) and Wainwright is 0/110, 4 places in 2018 (so majorly out of form!) but if he can find a low-grade race where he gets an easy lead then it will probably transpire that he’s on a winnable mark at present. You’d be wanting decent odds to take the risk on him though! A decent run from the 7yo who was almost running under prime conditions, prime conditions being…RH track | Handicap Chase | OR 124 & below | Race worth less than 10K to winner…which gives a form line of 1311 (3/4 – all 3 career wins), this was a 16k to the winner race. A small lowering of his sights to a race of lesser value could well see him victorious again, providing the handicapper doesn’t shift him up for this effort. I’m just not convinced he stays these 2m6f trips as he’s now 244 (0/3) over 2m6f-2m6.5f, with both his wins coming over 2m5f. He’s also possibly at his best in fields of 11 or less (121246 – 2/6, 2p) compared to fields of 12+ (4654 – 0/4, 0p) which is no surprise given he’s one that likes to front-runner (front-runners generally prefer dominating ‘smaller’ fields). This was only his 6th chase start so I suspect he’s still got more to give, and he’ll be seen to better effect over slightly shorter trips and probably in slightly smaller fields. The 7yo absolutely mullered the opposition here, which in fairness is a bit hard to work out given he ran in the race last year off the same mark (OR 129) but finished a well-beaten 11 length 8th. This was also the first time in 6 starts he had even placed over 2m1f+ trips. The only real difference here was the fact he was wearing cheek-pieces and he is now 2 from 2 when they’ve been applied, an addition that does seem to have made a serious difference to his form. On this evidence a return to chasing would be an interesting move as he’s still unexposed in that sphere after only 3 starts and he would be able to run from a mark of OR 126, a mark on this evidence should prove no barrier, providing the cheek-pieces continue to do the business. Seemed to be given too much to do from off the pace here and although it’s highly unlikely he would have won if he’d been ridden closer he would quite possibly have grabbed a place. He was ridden closer to the pace on his last 2 starts (won them both) and although this was a hotter contest I still feel a more forceful ride would have resulted in a closer finishing position. He’s still unexposed after only 7 starts (5 hurdle starts) and he’s probably worth giving another chance to. Plenty to like about this effort and the 4yo finished this race with a click of the button on the turn for home, taking lengths out of the field in a matter of strides. There seems to be plenty of speed in the pedigree so he’s a potential 2 miler of the future (hurdles & fences) and I wouldn’t be surprised should he prove up to defying a penalty in the bumper sphere. Had a rough journey here, on what was his racecourse debut, but it didn’t seem to phase him any and he finished with a strong rattle down the home-straight. There appears to be a bit more stamina in the pedigree than the winner so long-term he may be seen to his best over 2m4f/5f trips but on this evidence he should be able to land a bumper somewhere this season, possibly at somewhere like Ludlow where his trainer Kim Bailey has a 7/14, 4p record in bumpers in recent seasons. As part of the full NTF service I also provide two downloadable versions each week of the ‘Weekend Notes’. One is a PDF version of the notes for anyone who wants to print off the data and read it the old fashioned way (on the bus/train to work, having your breakfast, lunchbreak at work, on the toilet…) and the other is a text version that has been formatted for easy upload to the Proform database. As most of you are probably aware I am a dedicated Proform user and one of the features of the software is the ability to upload horse notes for a multitude of horses in one file (as opposed to the pain-staking task of manually adding the notes for each individual horse, one at a time). I know a few of my members also use Proform to store notes against horses so the second file (the text file) is specifically designed for easy upload to the software. Despite this year’s meeting not being quite up to scratch the Market rasen card is a great ‘warm-up’ note taking day for me. The notes will become significantly more in-depth and detailed as we start to enter the real girthy section of the jumps season but this card, at the very least, fires my National Hunt brain back into proper thinking/analyzing/angle-seeking/pattern finding/future winner finding/under-the-radar spotting mode. The pictures on NTF have been supplied by Michael Harris, a fantastic equine photographer who I’m very fortunate allows me to use his work here on NTF. Give Michael a follow on twitter. Hi Ben, always enjoy reading your posts whether I agree with them or not. I’m trying to find out about KEMBOY at Mullins yard as I think he has a big season in him, but all’s very quiet. Is he OK? Just wondered if you, your readers/contacts had any info? Not looking for race targets or anything, but just is he sound and running this coming season? Cheers and any help appreciated. Not heard anything about Kemboy myself I have to say. Probably would have had he been injured I suspect so maybe safe to assume all ticking along well. Willie is delighted with him and at this stage we are treating him as a potential Cheltenham Gold Cup horse. Clearly he has a long way to go to be a serious contender, as his current odds of 50-1 would suggest. However, with a rating of 157 he is in that league and he is actually rated a pound higher than Total Recall was when he ran in the race last season. He probably needs to improve another 10lb or so, but he is a lightly-raced six-year-old and Willie thinks there is still improvement in him. It will probably be November before he runs. He could be ready earlier but given his rating there will not be many options early in the season. At this stage the dream is very much alive and that is what it’s all about. Thanks for that info, much appreciated. High hopes for the horse then but that’s to be expected given how he rounded last season out.